New ListingLionel O-Gauge Pre-War Set No.293E Complete w/boxes + EXTRA'S ! Original!! NR!! VERY GOOD - EXCELLENT! The Set includes and they are Set box is in excellent condition complete with all staples intact firm and strong. Lionel 408E standard gauge electric loco. Beautiful restoration, in fabulous condition - although we cannot grade it as higher than C4 due to its restoration and repaint. All feature two large folding pantographs, two whistles, cast headlights, and red plate lettering. NO ORIGINAL BOXES. I WILL LEAVE THE FINAL GRADING UP TO YOU. LIONEL TRAINS ORIGINAL PREWAR STANDARD GAUGE No. 408E APPLE GREEN & FOUR MATCHING APPLE GREEN PASSENGER CARS. Prewar 1920s IVES Railway Lines C6 NICE! Standard Gauge Engine Maroon Locomotive 3236R. This engine needs in my opinion needs a new wiring job after that, typical greasing and cleaning and general maintenance this engine should run very nice. NIB👍-F420. Handling covers the cost of boxes, bubble wrap, labels, ink, paper, etc. 55 years of collecting model trains. Loco did NOT run when bench tested. Finish on pair appear to be original. 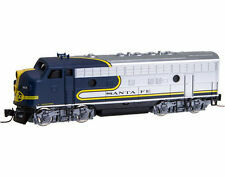 Lionel Standard Gauge #402E Dual Motor Mojave Electric Loco. w/OB. Runs Great. Lionel Standard Gauge #402E Dual Motor Electric Locomotive in Mojavewith original box. Runs Great in both direction. E-unit works well. Missing a few handrails. Neither headlight worked, bulbs seem good so it might be the wiring. Shiny blue roof. Yellow “A.F.L.” in upper corners. This version is lithographed in blue with yellow windows. In Excellent to Excellent Plus (C7 to C7 ) condition. Set includes the following Brass battery box and air tanks. All pieces are all original and in excellent condition. All the insulators are present. The insert is excellent with no tears. All the poles are stamped underneath. Tough to find piece in standard gauge, no reserve! LIONEL PREWAR STANDARD GAUGE 38 ENGINE - NICE! LIONEL PREWAR STANDARD GAUGE 38 NEW YORK CENTRAL ENGINE. NICE AND CLEAN ENGINE! SOLD AS-IS-PICTURED. M.T.H. 10-4024, RETRO LIONEL OF No.840. AS PICTURED. CHECK PICS FOR BETTER DETAILS,NO RESERVE! "M.T.H. 10-4024 POWER HOUSE PRESSED STEEL TOY ". THIS IS THE RARE RED & WHITE VERSION! IVES STANDARD GAUGE. REPAINTED & NEED REPAIR. REPAINTED BODY SHELL. TIN 0-4-0 ELECTRIC ENGINE. And this is a very reasonable fee to ensure your item arrives safe and sound and intact! Model MPN 82901. Decal German Reichsbahn three engines, No 52 2495 is comouflaged with the body painted black and red running gear, No 52 8139 in comouflaged with a base. Used with rubs and nicks. A good solid early set. 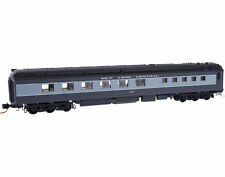 #33 electric engine - New York Central; strong runner, light works. Rewired, runs forward only, no E unit on this early engine. All cars and engine are original paint. PREWAR LIONEL STANDARD GAUGE # 439 BRIDGE BOARD PANEL. LIGHT WORK. Lionel No. 384T tender. Made by Lionel between 1930 and 1932 - this example is in Very Good Plus to Excellent (C6 to C7 ) condition. Would make a great addition to the layout of the discerning operator! Prewar Std. Gauge LIONEL 384 LOCO w/384T TENDER, VG CONDITION!! - RUNS GREAT!! PREWAR STD. GAUGE LIONEL 384 STEAM ENGINE W/ 384T TENDER GREEN STRIPE (HAND REVERSE)- BLACK/BRASS TRIM. These cars have “THE LIONEL LINES” lettered above the windows. Made by Lionel In 1928. Repainted set. TCA grading standard will not let us grade a repainted set higher than Fair (C4), but this set appears Like New. Lionel 914 park landscape.Elliptical plywood base painted cream with two horseshoe shaped imitation grass toots, shrubbery, and flower garden with cream urn in center. Piece is in Excellent (C7) condition and features a later, more yellow base, dating it to around 1935. This is a Lionel 13900 Trolley. It is a reissue of the original #2 Trolley that was originally produced by Lionel form 1906 to 1916. It features a baked enamel finish, stamped metal construction, original design motor, reversing unit, illuminated interior, long hook coupler, operating headlight, and opening doors. It matches the 13901 Trolley Trailer. This item has been graded per TCA standards C-8: Like New. Overall condition is Like New. Manufacturer: Lionel. Model Number: 6-13900. Scale/Era: Std Gauge Modern. Model Type: Passenger Cars. Availability: Ships in 1 Business Day!. Lionel standard gauge 211 black lumber car in Like New (C8) condition. Made between 1926 and 1940 - this example dates to early in the production run. Great for the collector. OVER 25 YEARS EXPERIENCE DEALING TOY TRAINS! All pieces are in Excellent Plus (C7 ) condition apart from the one Pullman which has flaky paint as shown, which is in Very Good Plus (C6 ) condition. Loco runs well and looks great overall! Paint is nice and shiny and. This Lionel Standard gauge 126 station features red crackle painted walls with a green roof and doors, mounted on a mojave base. In Excellent (C7) condition, except for creasing in base (see picture). 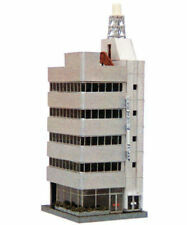 Larger German tin building. larger size. The photos show everything that is included. Lionel standard gauge 390E Loco and 390T tender. Produced between 1929 and 1931, this version dates to 1929 due to its dark green body and orange stripes on the running board. Features 2-4-2 loco. All original, including original flags, but loco has been re-wheeled. AMERICAN FLYER PREWAR #4393 PRESIDENT'S SPECIAL ANNAPOLIS DINER CAR-GOOD COND! GAUGE PRESIDENT'S SPECIAL DINER CAR! THE "ANNAPOLIS" CAR IS IN GOOD OVERALL CONDITION. A GREAT PASSENGER CAR YOU WOULD BE PROUD TO ADD TO YOUR COLLECTION! THE CAR FEATURES INTERIOR ILLUMINATION--(6) WHEEL TRUCKS & A REMOVABLE ROOF. UNLESS THERE HAS BEEN A GROSS MISREPRESENTATION OF ITEM. BOTH CARS ARE IN GOOD CONDITION SHOWING PLAYWEAR, PAINT WEAR/LOSS, DINGS. Let's make 2019 another great year and we look forward to future dealings. new trains added almost daily. you said excellent but I say very good (sorta subjective this is why there are pics?). yes this happened in 2018. Minor issues, but this is unbelievably 41 years old now. Lionel 113 station. All original. In Very Good (C6) condition. Would benefit from a really good cleaning. Works well. Made by Lionel between 1931 and 1934 only, this station was identical to the 112 stations, but had gold painted outside light fixtures for upright tulip-shaped bulbs, mounted on columns flanking the floors on one side. LIONEL PREWAR #514R IVORY & PEACOCK REFRIGERATOR BOX CAR-NICE IN ORIG. BOX! LIONEL PREWAR #514R "STD GAUGE" IVORY & PEACOCK REFRIGERATOR BOX CAR! THE CAR IS CLEAN AND IN GOOD ORIGINAL CONDITION WITH ITS ORIGINAL BOX! AN ATTRACTIVE CAR THAT WOULD MAKE A GREAT ADDITION TO YOUR COLLECTION! Repairs have been made to the casting. However, the photos show the condition (it’s a nice restoration). Ideal for the operator! Father and son team Ed & Doug Prendeville are experienced and respected dealers in the toy train industry. Two motors and both work. Above average for condition. See detail for break down. Nice old bulb, but I will include regular bulb. My goal is to bring a smile to your face. Hi, I am 17 year old Cole Diamond, I have been a train enthusiast since literally 1 year old, got my first Lionel at 4 and love trains. Mistakes & Errors do happen even though we try very hard to prevent it. Lionel standard gauge 390E loco, 390T tender, tender and loco boxes, plus the set box. Features a black body, orange stripe, type I motor, type III pick up, red spoked pilot wheels and drivers, and 500 series tender trucks.